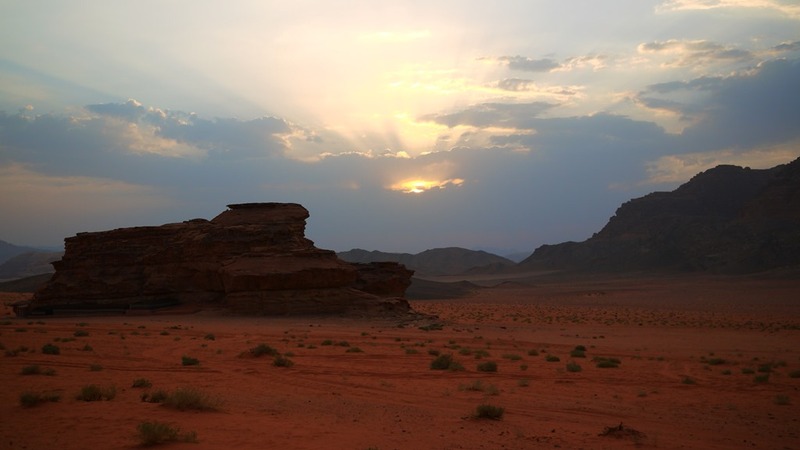 This morning I woke to a pale blue sky, a cool desert breeze and red sand stretching as far as my little eyes could see. For a moment, between sleep and the new day, I thought I was dreaming. But my mind came around to my thin mattress on the still-warm sand and the camels plodding past. Our night in the Bedouin style camp was, in equal parts, peaceful and exciting, delivering little bursts of happiness into my travel-soothed soul. After a three hour safari on the back of a scrappy Hilux ute (during which we stopped to climb sand dunes, stone bridges and into canyons) we arrived to a coal-cooked meal of vegetables, lamb kofta and rice. The Bedouin men sat by the fire playing a mixture of local and foreign tunes on their strings; their clear, strong voices bouncing from the rocky hills that lay beyond the light. 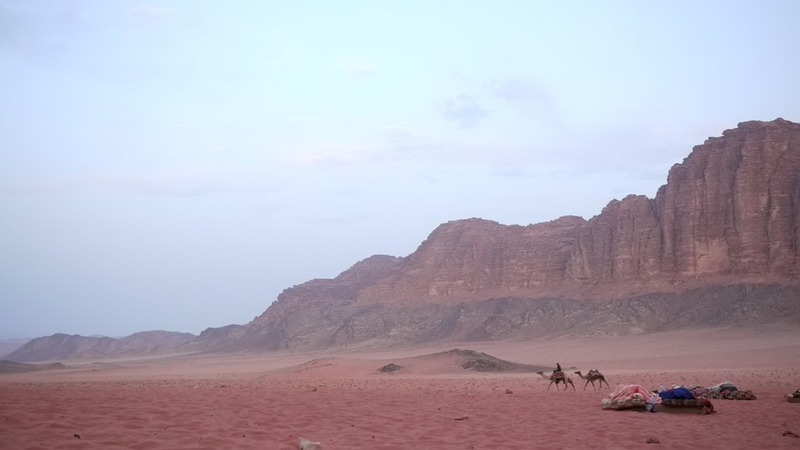 As always, camping reminded me of childhood, but Wadi Rum seemed a world away from my humble home ground in Australia, and a childlike wonder overcame my reminiscing mind. Falling asleep under the desert night, admiring the stars that pierced the blackness and the comet that streaked the sky, I was undone with a fit of the giggles before falling into a deep slumber. Thanks Sandra. It’s a beautiful dramatic landscape that can’t help but translate to the frame. Thanks for reading. That photo is so beautiful. Enjoy your travels!